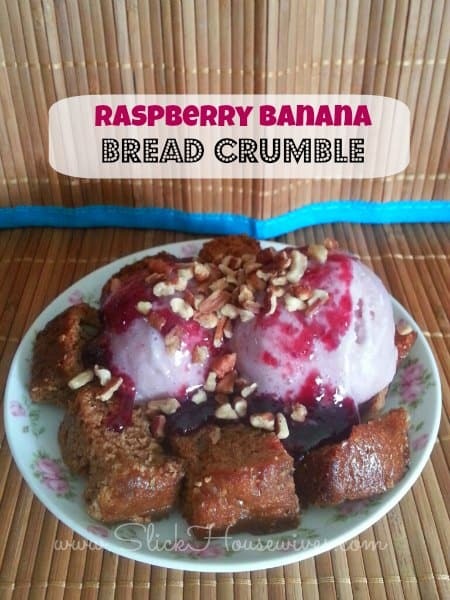 This Raspberry Banana Bread crumble recipe, made with delicious raspberry yogurt and yummy banana bread and walnuts, is not too sweet and perfect for summer. This recipe is easy and can be adapted to make Apple Crumble, Peach Crumble and many other yummy Crumble recipes!! I hope you enjoy this as much as we have!! 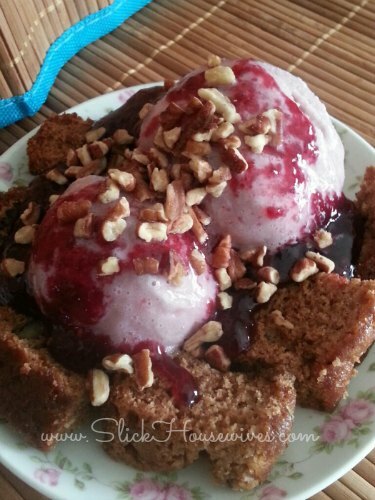 Cut banana bread into bite size pieces. Arrange bread pieces onto 6 plates. 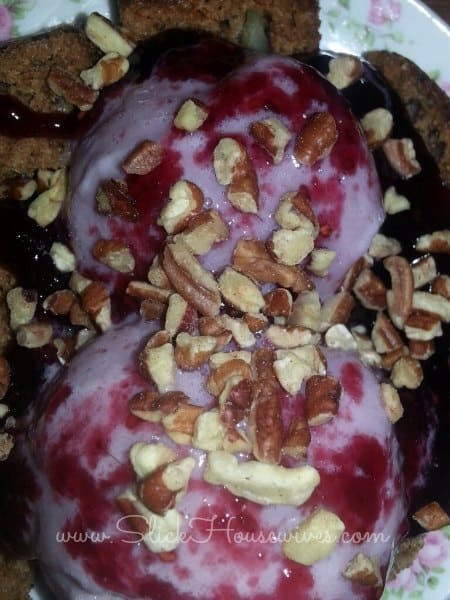 Top with Raspberry Preserves and Walnuts. Serve immediately or place in freezer until ready to serve. This is a great summer recipe. I love that you can change up some of the ingredients.